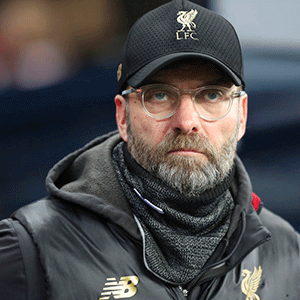 London - Jurgen Klopp has condemned "disgusting" racist abuse aimed at Mohamed Salah and called for lifetime bans for the Chelsea fans accused of taunting the Liverpool star. "It is a complete misunderstanding of how life should be - all parts of racism are that some people think they are more worthy or valuable than others and that's the biggest misunderstanding in the world out there," he said. "Because football is very public we talk a lot about this so I think we pretty much have a strong voice and we have to use that strong voice and say altogether things like this are not allowed to happen again."